If you are taking Plaquenil to treat an inflammatory condition or malaria, you should be aware of the side effects that may occur to your eyes and vision. Plaquenil (hydroxychloroquine) is in a class of drugs called disease-modifying anti-rheumatic drugs, which are used to decrease inflammation, pain and joint damage. While today it is used to treat autoimmune conditions, such as rheumatoid arthritis and lupus, it was originally used as an anti-malaria drug. Although they are uncommon, Plaquenil has side effects that may affect your eyes. In some people, Plaquenil can cause a condition called hydroxychloroquine retinopathy, often referred to as bulls-eye maculopathy. (The condition sometimes resembles a target, or bulls-eye ring, on the retina surrounding the macula.) Hydroxychloroquine retinopathy is extremely rare and is most often seen in cases where the dosage is high or the patient has been taking it for several years. Bulls-eye maculopathy is uncommon, but when it does occur, it can be devastating visually. Initially, central vision is not affected, but you may notice a ring of disrupted vision that may interfere with reading. As the disease progresses, it begins to affect central vision and becomes life-altering. The changes are most often permanent, but in some cases, vision has improved. 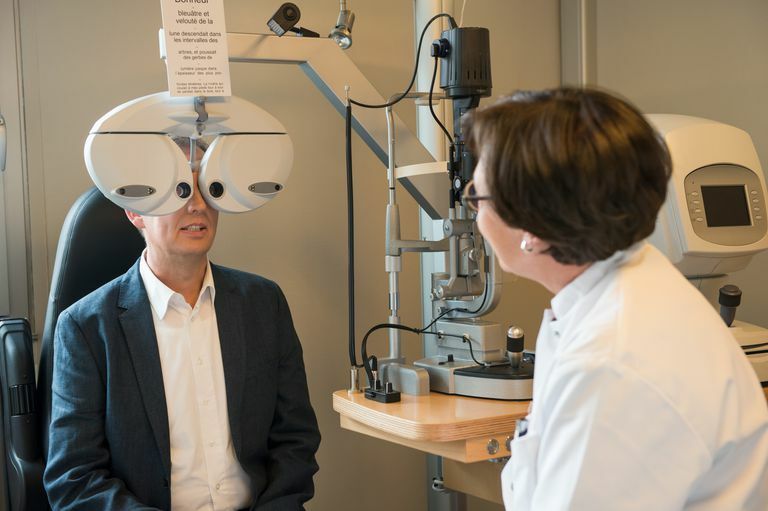 Most rheumatologists recommend patients undergo a baseline eye examination prior to starting Plaquenil and be re-examined in the future depending on their risk for developing the condition. Risk factors include advanced age and having pre-existing retinal disease. Research has shown that your risk of developing retinopathy is higher the longer you are taking Plaquenil. In fact, the incidence of retinal toxicity rises sharply in people that have taken it between 5 and 7 years. As a result, baseline testing should occur within the first year of taking the drug and then annually at the five-year mark. Personally, I recommend a full evaluation every 18-24 months during the first five years and then annually after five years. Shechtman, Diana L and Paul M Karpeck. New Plaquenil Guidelines. Review of Optometry, 15 APR 2011, Vol 148, No. 4, pages 105-106.